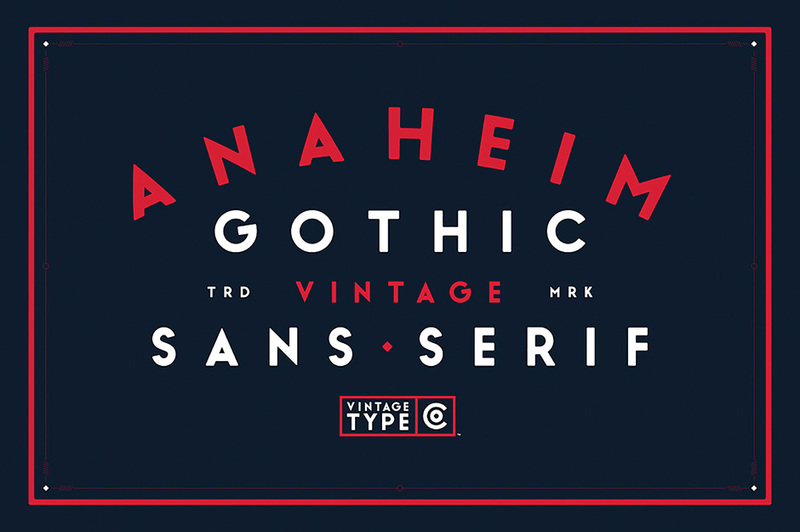 Anaheim Gothic Font	By: Vintage Type Co.
Anaheim Gothic is a bold, geometric, sans serif display font inspired by and designed for vintage logo & packaging design. Despite this, Anaheim Gothic works for a wide variety of applications and is sure to be your new favourite weapon of choice. The font comes with full upper & lower case, including a couple of basic ligatures, and also comes equipped with multilingual support. File size is approx 164KB unzipped, offered as a single download.